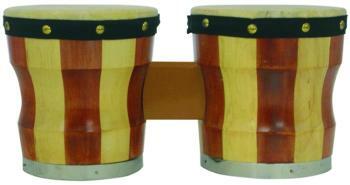 CP Bongos are perfect for first-time players and young musicians in elementary and middle school. Soft-lined, nylon bag features reinforced carry handles and a zippered closure. The Value Series Standard Bongos feature Two tone birch wood. 6.75'' high with 6'' & 7'' heads.